This was a sentimental truck with a long story done for Nick’s father at the very beginning of our restoration careers. 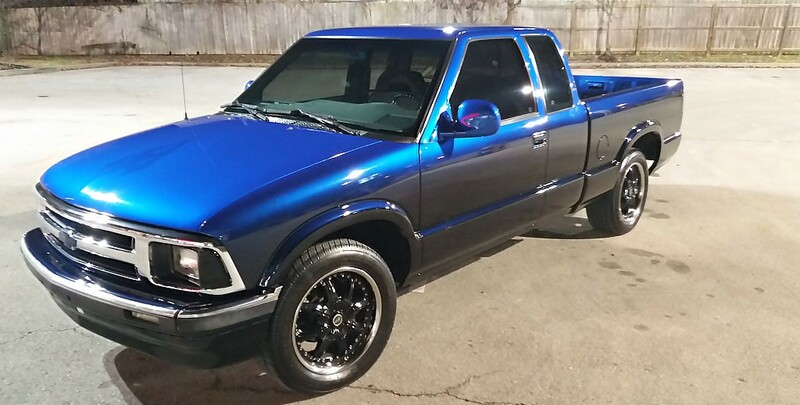 The truck was completed over ten years ago while attending college. extensive body modifications including shaving the third brake light, a welded roll pan, and a tailgate handle relocation was preformed. 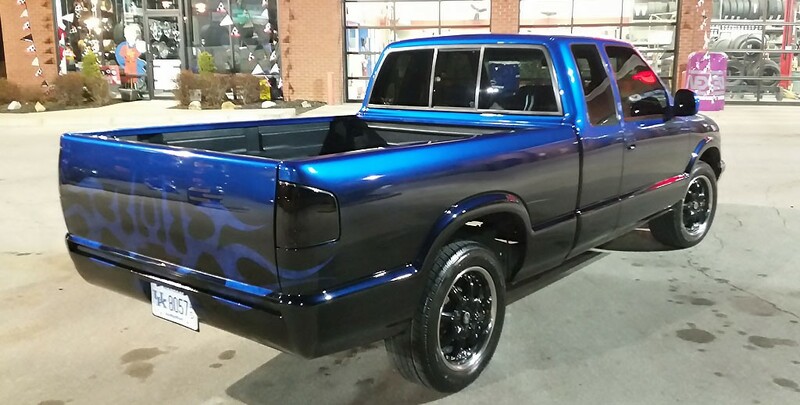 The truck was refinished with a House of Kolor Tru Blue Pearl top faded into black.